1959 - SHOEI Kako Co., LTD is established and begins manufacturing general safety helmets in Tokyo, Japan. 1960 - SHOEI acquires a larger facility to begin manufacturing motorcycle helmets. 1962 - SHOEI motorcycle helmets earn JIS (Japanese Industrial Standards) certification. SHOEI begins producing Fiber Reinforced Plastic helmets. SHOEI begins racing sponsorship program to help with research and development of new products. 1963 - SHOEI introduces the SR-1 the company's first motorcycle racing helmet. 1967 - SHOEI establishes its factory in Ibaraki, Japan, which is still in service today. SHOEI introduces the SR-Z the company's first full face helmet. 1968 - SHOEI Safety Helmet Corporation, the North American arm of our company, is formed in California, U.S.A.
1971 - The S-3, SA-1, and S-10 helmets are popular models for SHOEI. The S-12 obtains Snell certification. 1972 - The S-20, with its two piece structure, is introduced, and proves to be very popular in the North American market. 1976 - SHOEI introduces the GR-Z, the world's first helmet to utilize carbon fiber in its construction. 1978 - SHOEI Europe PVBA is established in Belgium to distribute SHOEI products throughout Europe and West Asia. 1980 - A new factory is built at SHOEI's Tokyo facility. 1982 - SHOEI's first off road helmet, the EX-2, is introduced. 1983 - SHOEI introduces the Z-100, a full face helmet with innovative designs such as an injection-molded shield and chin spoiler. SHOEI introduces the RF-102, a full face racing helmet equipped with a quick opening shield system. SHOEI introduces the TJ-201, an open face helmet equipped with a quick opening shield system. 1984 - SHOEI introduces the RF-102V and TJ-201V the world's first ventilated helmets. SHOEI introduces the TF-250, a full face helmet equipped with a ventilation system in the chin bar. 1987 - SHOEI France SARL is established to distribute helmets in France. SHOEI racer Wayne Gardner is crowned champion in the GP500 Road Racing World Championship Series. 1988 - SHOEI introduces the VX-4 off road helmet. SHOEI racer Eddie Lawson is crowned champion in the GP500 Road Racing World Championship Series. 1989 - SHOEI's Iwate factory in northern Japan is established. SHOEI racer Eddie Lawson successfully defends his GP500 championship. 1990 - SHOEI introduces the X-8 with its unique built-in mechanical shield system, eliminating the need for noisy base plate covers. 1991 - SHOEI introduces the VF-X off road helmet. 1992 - SHOEI racer Wayne Rainey wins his third championship in a row in the GP500 class. SHOEI racers won every GP500 title from 1987 through 1992. 1993 - SHOEI released the first dual EPS liner ventilation system in the world with the X-8 Air. The DUOTEC modular helmet is introduced. 1994 - SHOEI Europe GMBH is established in Germany. 1999 - SHOEI racer Alex Criville wins the GP500 World Championship. 2000 - SHOEI introduces the Syncrotec the company's second-generation modular helmet. 2001 - SHOEI Europe Distribution Deutchland GMBH is established. 2002 - SHOEI introduces the X-Eleven, the new standard in premium road racing helmets. 2003 - SHOEI introduces the RF-1000 full-face road helmet. 2004 - SHOEI introduces the TZ-R full face helmet. SHOEI introduces the V-MT off-road helmet. SHOEI introduces the VFX-DT off-road helmet that utilizes the groundbreaking new Max Dry liner. 2006 - SHOEI introduces the Multitec modular helmet. SHOEI expands the Iwate Factory to increase production capacity. 2007 - SHOEI introduces the Hornet-DS the company's first dual-sport specific helmet. 2008 - SHOEI introduces the all-new VFX-W off-road helmet. Get ready to rumble in the arena with the Shoei VFX-EVO Helmet, the next iteration of the popular VFX-W. The VFX-EVO's liner incorporates the unique M.E.D.S. (Motion Energy Distribution System), a specially inserted module of the EPS liner designed to absorb sudden impacts by reducing rotational acceleration to the head in the event of a crash. Shoei's in-house testing showed rotational energy to be reduced by 15% In comparison to that of the VFX-W off-road helmet. The shell is constructed with high performance AIM+ (Advanced Integrated Matrix Plus Multi-Fiber), a combination of fiberglass and organic fibers. The result is a rigid, ultra-lightweight, yet elastic structure. The mud guard is specially shaped so as not to interfere with the wearing of goggles. Dedicated plastic tabs help hold the mud guard firmly in place during serious off-road riding conditions. The braced nose cover has been designed to improve safety: it features mesh to filter dirt and dust, and aluminum mesh to prevent roost from entering the mouth and is easily removed for cleaning and maintenance. The VFX-EVO's newly-designed, adjustable visor designates the top position on the helmet as default, based on the preference of many top-ranked riders. A straight line is formed from the visor top to the helmet shell to ensure upward visibility. The adjustment system is facilitated with a special screw fixing nut, installed beneath the upper center of the visor, holding it firmly in place and keeping the nut from coming loose and falling into the helmet. NOTE: These sizing charts are provided by the specific manufacturer or the distributing company for this brand. 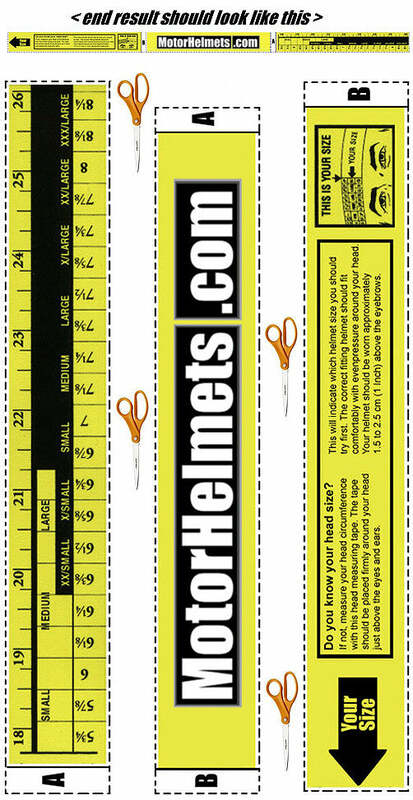 Motorhelmets.com is not responsible or guarantee's the accuracy of the measurement or fit of the merchandise listed on this page.